While Dell is one of the last vendors to actually announce an entry in Intel’s ultrabook category, their announcement is a bit of a doozy, and it arrives alongside a mild restructuring and simplification of Dell’s notebook lines. We’ll start with the most basic information: Dell is stripping their notebook lines down to the essentials: XPS, Inspiron, Alienware, and Vostro. Latitude’s future is nebulous, but the Vostro brand has served Dell well. Each of these remaining lines is clearly cut from the others: Inspiron remains Dell’s budget-oriented consumer brand, while the newly fortified XPS line will serve both upscale consumers and business users alike. Alienware continues to focus strictly on gamers, and Vostro remains the choice for enterprise users. So what about XPS? Today Dell is launching their ultrabook, the XPS 13. Much like the XPS 14z was able to fit a 14” screen inside a 13” chassis, Dell has fit a 13” screen inside the XPS 13’s 12” chassis. The result is a notebook with a design that feels like it maximizes the space available to it, with a full-sized keyboard and a large screen with a small bezel. Some may complain about the 13” screen’s low 1366x768 resolution, but at that size the resolution is perfectly reasonable. Details on the XPS 13 are a little thin (see what I did there?) but it’ll be running low voltage Intel Core i5 and i7 Sandy Bridge processors at launch complete with Intel HD 3000 integrated graphics and either a 128GB or 256GB SSD. 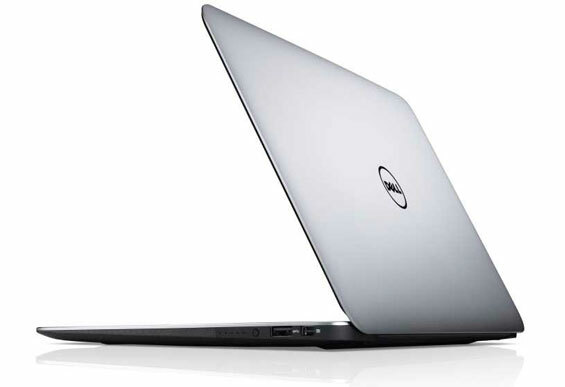 Dell includes a backlit keyboard, Intel’s Rapid Start technology, and an enclosed 47Whr battery Dell claims is good for up to eight hours of running time. Finally, the starting weight is about three pounds on the dot, no doubt helped by the substantial amount of carbon fiber used in the construction. Dell elected to use aluminum for the frame but eschew it for the interior and bottom surfaces; carbon fiber allows the notebook to feel cooler to the touch and actually be used on your lap. This is an ultrabook to watch out for. We had the opportunity to go hands on with it recently, and it’s remarkably comfortable, light, and enjoyable to use. It launches today, and we look forward to having one in house for review in the near future. It's just getting embarrassing now that tablets with roughly 10 inch screens will soon have 1080p IPS displays, or even 2560x1xxx later this year and you still get 13 inch laptops with 1366x768 and TN panels. BTW luckily i dont think we'll have to put up with this crap for much longer. When Windows 8 finally comes out there will be 1080p tablets that will surely have IPS displays. It's also pretty much a given that they will have USB and HDMI or DP, meaning they could also be connected to large monitors and tons of other other peripheral that Windows supports. "Some may complain about the 13” screen’s low 1366x768 resolution, but at that size the resolution is perfectly reasonable." No, it's not reasonable. I have a netbook with an 11.6" screen with the same resolution and I find it too low. It's disappointing because Dell used to be AWESOME in this regard. When I bought my 15.4" Inspiron 8600 I optioned the WSXGA 1680x1050 display, and it was great. Even better, you could option a WUXGA 1920x1200 display. That was 2003.